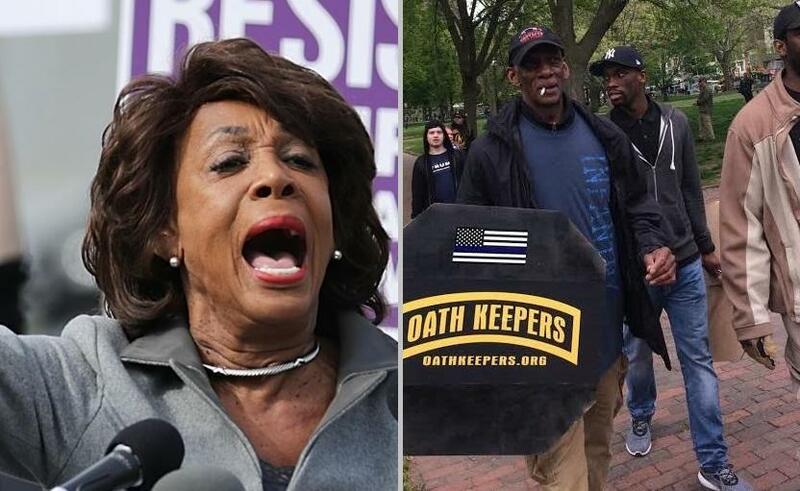 California Democrat Maxine Waters warned supporters on Wednesday of possible "armed protests" by the Oath Keepers organization, which she described as "an anti-government militia" that has conducted armed protests across the country. 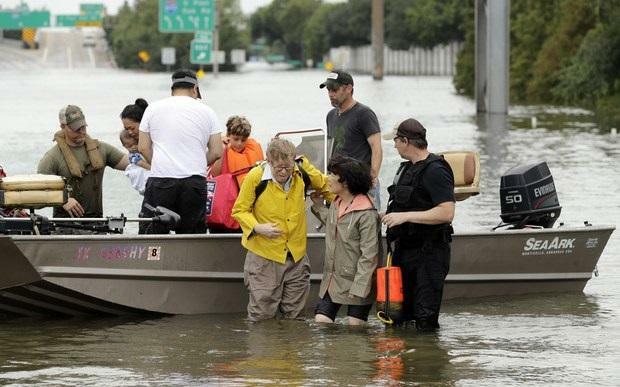 The group, founded by Yale Law graduate Stuart Rhodes, bills itself as an association of non-partisan current and former military officers, cops and first responders and notably provided disaster relief to Texas, Louisiana and Puerto Rican hurricane victims. They also have a policy to physically remove any white supremacists from their rallies - but they do like their guns. On Tuesday, the group issued a "call to action" against Waters, urging members to prepare for as many as several weeks of protests in the Los Angeles area. Waters, 79, warned her supporters against being "baited" into confrontations or counter-demonstrations with the group, which she said has a track record of "violent and provocative behavior." She also urged her protesters not to come out on the same date and time as the Oath Keepers planned protests. 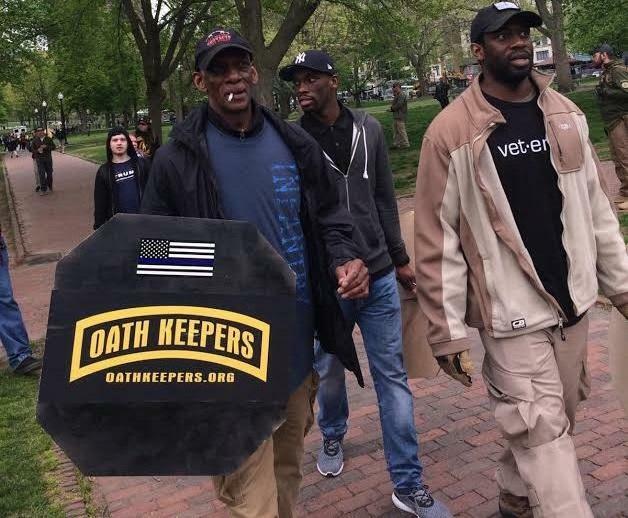 "I am requesting those individuals and groups planning a counter-protest to not be baited into confronting the Oath Keepers with any demonstrations in opposition ... Such an occurrence would only exacerbate tensions and increase the potential for conflict." Waters ignited tensions last month when she called for supporters to physically confront Trump administration officials when she said: "If you see anybody from that Cabinet in a restaurant, in a department store, at a gasoline station, you get out and you create a crowd and you push back on them, and you tell them they’re not welcome anymore, anywhere." The California Democrat walked back her call to action, telling reporters in June "I believe in peaceful, very peaceful protests ... I have not called for the harm of anybody. This president has lied again when he's saying that I've called for harm." Waters noted in her statement that the Los Angeles Police Department would be on site Thursday "to ensure safety and security." "This is the launch of an ongoing protest that may go on for several weeks. Other patriotic groups are welcome to join us," the group said in a statement. "This is both a protest against Maxine Waters’ incitement of terrorism, and a stand for ICE and the Border Patrol, as they enforce the perfectly constitutional immigration and naturalization laws of this nation." Maxine Waters is lying and trying to stir up her base to cause trouble in her statement. 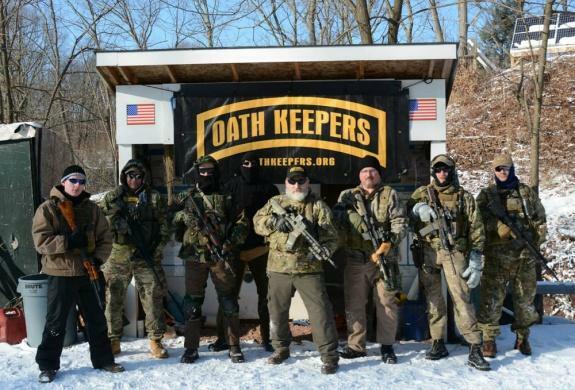 The Oathkeepers are the furthest from being anti-government and being armed is preposterous.